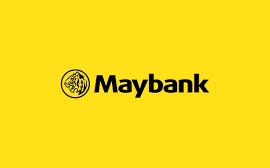 Maybank is among the top 5 banks in South East Asia with total assets of USD165 billion. It has an international network of over 2,400 branches and offices in 20 countries and employing 45,000 employees. Maybank’s mission is to humanise financial services across Asia, by providing access to financial services to the people at fair terms and pricing, and to be always at the heart of the community. Alvin Lee, Head of Group Wealth Management and Community Financial Services at Maybank Singapore, tells Hubbis that the bank is committed to putting the right resources and investments into its plans for the expansion of its wealth management services in the region. Maybank sees the development of its wealth business as a multi-year initiative, and the business will be given time to build up so that it be well positioned to ride the upturns, given that we are in the late-stage of the business cycle. Maybank may be the new kid on the block in wealth management space, but it has the smarts to play alongside the veterans and isn’t afraid of flaunting what it’s got. The Malaysia-based bank is continuing to build-out its offering to HNW clients at home and across the region, but with the focus on ensuring that any bankers and client assets are sticky, says Alvin Lee. When Maybank launched its private wealth offering in Singapore two years ago, it was the last piece of a jigsaw to complete its banking model. Lim Hong Tat and Alvin Lee explain the journey so far, and how the bank has put each component of the platform in place in preparation for further expansion.